> Podcast > Everyone Leads. Just At Different Times. Why do birds fly in a V? The slipstream from the leader makes it easier to fly. But what about the leader? They change leaders about once every minute for an 8-hour flight! New ideas require new leaders, and different leaders on the same team at different times! Listen in as Karla and Allen discuss WHO leads during different phases of a project. Karla Nelson: Welcome to the People Catalyst Podcast. Allen Fahden. Karla Nelson: Good morning. Early, early morning, this morning. Allen Fahden: Early morning. This is the time of day when your voice gets deeper. Karla Nelson: Yes, it does, my friend. We’re just going to hit the ground running today and the last podcast we ended up with, we talked about objectives and what we want to do, obvious opposites, which is two things that are completely opposite from each other, oppo-tunity, which is a unity of opposites, and then we left this with addovation, which is basically the implementation aspect of coming up with a big idea. The reason why this process is different from the who do method is because you’re only going to invite the early adopters first. You’re going to get out of your comfort zone and then create something that is either, on the three levels, and we’ll quickly, Allen, go through the three levels of innovation. It’s either incremental, breakthrough or radical. Of course, we’re only going to talk about radical innovation because it’s the hardest to implement. So, if you want to walk us through those three levels of innovation. Allen Fahden: Yeah. A couple of examples. So, incremental innovation is the easiest to do and it usually involves just hooking up two things maybe that haven’t been together before, but maybe they’re logically together. An example of that, a simple one, would be when Jeff Bezos founded Amazon. His objective was to make a really good bookstore and then put it on the internet. That’s something. Well, that’s interesting. I wonder how that’s going to work. Karla Nelson: Yeah, it worked out pretty well. Allen Fahden: It worked out really, really well. Incremental innovation is something where you’ve got to keep at it and keep at it and keep at it and keep improving it. So, it’s something you do every day. Continuous improvement in some of those other pieces. Now, a breakthrough innovation on the other hand, is something that is more like new to category innovation might be something where you borrow something. I think we talked about that in the last podcast. Allen Fahden: Marcy & Spencer, the sandwich thing where they would actually borrowed something from the printing industry and nobody ever made sandwiches that fast before because they were silk screening the butter onto the bread. Karla Nelson: I love that. Silk screening. It’s always a great story. They did what? Silk screen butter on the bread. Allen Fahden: They really got huge competitive advantage in their category from bringing something in from the outside and then radical innovation where it is new to world. You might say, Steve Jobs and the iPhone where they completely changed the way that we communicate. People laud that as the invention of the century. Karla Nelson: Yeah. Yep, you got it. Again, that’s three levels of innovation. Incremental, breakthrough, and radical. For the purpose of the podcast today and the previous podcast we just did, we focused on radical innovation because it’s the most challenging to implement. What we’re going to do is talk about those four steps. The first, again, go back to the other podcast to walk through objective obvious opposite oppo-tunity and what we’re talking about today is the addovation. The addovation is when you get to the point of implementing this big idea and how you’re going to implement it. I’ll run through the first four or the four steps, Allen, and we’ll break them down. So, the first is, you have to sell it to whoever’s in charge, unless that’s you. You can skip step one, right? That is kind of like if you’re in charge, that’s the radical innovators who do, because you definitely do, just bring the early adopters together. You find a crazy big idea and then you just get to the point of poking the holes in it. Right? So, you jump a couple of steps. The second is run the who do to de-flaw the idea. The third is the implementation where the prover becomes the leader and the fourth is going to be repeat it and refine it. Because remember, knowing what to do is the first step. Doing it, and then repeating it, and getting to the repeating it point is very challenging. You have to have everybody lead. 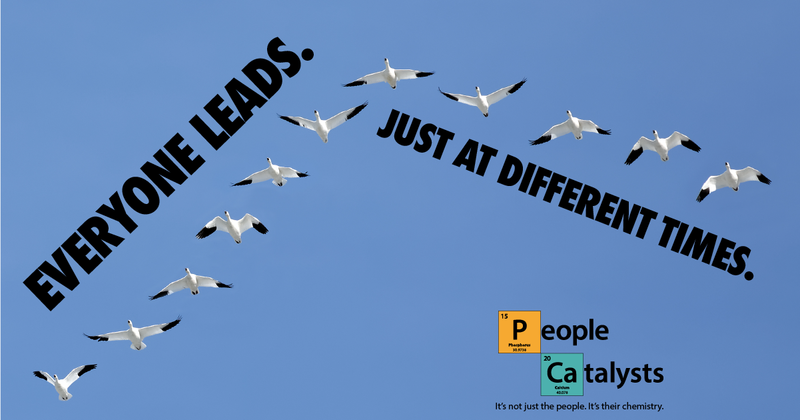 You just have to have them lead at different times. Let’s go to the first part, Allen, which is selling it, right, to whoever’s in charge. Karla Nelson: Unless that’s you. So, let’s walk through the shaker, the mover, or shaker, mover, prover, right, because it’s very unlikely. I mean, in a long time of training and teaching this, there’s not been a lot of makers as CEOs. I think we can … They could be managers of divisions oftentimes, especially in government, because that’s very likely that they have to repeat things. Let’s first start with how do we sell a shaker when they’re in charge? We come up with this great idea and then how do we sell the shaker men. They are the ones at the end of the day that’s going to make the decision. Allen Fahden: Hit somebody where they live and you can increase your chances of success dramatically. For example, a shaker, someone to whom it’s very important for it to be their idea. Now, it may be your idea right now, but one of the things you can do is open that up to them so they can actually put their imprint on the idea. What they get to do is move a few things around, then all of a sudden, it’s their idea. I’ve seen this happen a lot of times. In many times, they’ll actually improve the idea. Why? Because they see things that you don’t see and so they’ll actually improve it. Once it’s their idea and it’s ready to roll, they’re very much behind it. Karla Nelson: You got it. Then, a mover. I can probably speak to this is just come to them with a couple of ideas. Right? Honestly, you could have the lost leaders. You know they’re not going to pick that one. That one’s not that good. Right? Then, they pick the one that they think is the best, they’re going to get behind you. They’re going to figure out the other five people we need on the team. They’re going to rally to get the idea that they saw and the potential that they saw moving forward. Allen, if you want to speak to the prover and how you sell. Because you know, shaker/provers are actually pretty common when it comes to CEOs. Allen Fahden: Oh, yes. Yes. Again, Jeff Bezos at Amazon. As a CEO, you can know what needs to be done and then you would also know instinctively what’s going to go wrong so you can prevent that. To a prover, that’s exactly what we want to allow them to do. This is pretty scary for shakers presenting to provers, but it’s like have an idea here and they’re a lot of good parts, but I’m pretty sure we haven’t figured out everything that can go wrong. What do you think? Are there some dangers here? Karla Nelson: I love that because they’re imprinting on two different ways. Both with new ideas and with what could go wrong. Allen Fahden: That’s right and if it’s a prover/shaker, they’ll probably raise whatever issues you have with the idea and at the same time, they’ll come up with solutions. Their solutions may be different then you can do. For example, don’t worry. I have a budget over here that I just use for things like that, so don’t worry about money. It’s like, well, how would you know that, that they had that budget over there. It’s great. They can improve the idea and they can keep it alive in so many ways. Once they’re behind it, obviously they can be a big factor in getting it done. Karla Nelson: Awesome. Then, the second, which we’ve got countless podcasts on this, is run the who do to de-flaw the ideas. After the idea is hit, then run the who do method. Get everybody involved, right? Then, in this particular part of the process, the leader … Let me go back to the step one. Selling it. That’s going to be your shaker/mover because shakers and movers are the best sellers. But, in the second piece, running the who do to de-flaw the idea, your best leader in that situation is going to be the mover. Karla Nelson: Exactly. They keep everybody from disengaging. So, because they want to move it forward and they don’t have that dog in the fight, they’re going to engage all of the core natures of work for everyone on the team. Keeping everyone from disengaging and understanding what their core nature of work is, is critical for running the who do in order to de-flaw the idea. Because as you … Who said that every idea is drowning? Allen Fahden: Every idea is born drowning. That’s actually some people I work with in Singapore who said that. I thought it was a great thing. Allen Fahden: The way to say that is initially they have as much wrong with them as they do right and that brings me back to selling to the prover, if the prover is in an authority position. The one thing you can do is run the who do method first and show them the flaws that you have found and overcome and they will appreciate that, but they’ll still find more and then together you can overcome them and that will help them to imprint the idea obviously and make it theirs as well. Karla Nelson: Yeah. I love that because the buy-in is so critical that any time, at any point, that you can have your team members with their core nature imprint on the idea, that just gets them on your side, on your team working with you. Because remember, only 15% of people say yes, but as soon as they put their imprint on the idea, it’s theirs, in some way, shape or form, it’s theirs. Allen Fahden: The other thing you want to say is people buy what they build. Karla Nelson: You got it. You got it. So, after you run the who do to de-flaw the idea, and remember the mover’s the leader here because they don’t have a dog in the fight and they can organize the big picture, right? The big steps that need to happen. The next step is implementation, so this is where the prover becomes the leader. Because the prover can organize the details, right? The baby steps that need to happen in-between the kind of big, ginormous steps that the mover identifies in step two. Allen Fahden: Yes. This works really well because you’re making an enormous shift here from the big picture to the smaller picture and it’s interesting because the mover and prover are both organizers, but in different ways. When the prover takes over, they start to organize the small picture, which is perfect for the maker. The maker’s a person who actually installs the idea. They want to know every detail and they want a checklist. They want to be able to repeat it over-and-over again successfully. This is great because one of the things we know about provers is they love to make the rules, so organizing this for the maker is a great thing for them because they’re really making rules for them and the maker loves it because the maker wants to obey the rules, but they just want to know what the rules are. Karla Nelson: They’re sweating bullets on that one. Allen Fahden: I was managing a maker who came to me one day and he said, “Al, what are my instructions?” I said, “Sure. The client needs it by 5:00 p.m.” He looks at me like I’m crazy. A prover overheard us and he sat down and he said, “What are you trying to tell me?” He asked me a few questions and he drew him like a whole planigram. The maker says, “Is this what you meant?” I said, “Well, I guess so, but I didn’t really know that, but I guess so.” He kind of rolls his eyes and walks away and he does what he does. Karla Nelson: You loved that. Allen Fahden: It’s just a matter of giving people what they need at the right time. Karla Nelson: Yeah, and it’s different for everyone. I love that. Honestly, that’s one of the things I love about provers is they can take the big, big picture and then they can bring … I mean, I love all the core natures of work, but taking that and breaking it down to the maker is critical because in step four, the repeat and refine process is so critical. Allen Fahden: You don’t know what to do yet then? Karla Nelson: Yeah, but finding it is the mover and the shaker. The early adopters are going to be the ones that can have that conversation. Doing it, the first time through, and embedding it into and integrating it into the current systems, that’s going to be your prover, but that person is going to get bored with doing the same thing over-and-over. What they really want to do is come up with, “This is how it needs to be done.” Then, they hand the baton off to the maker, right, which is repeating it. So, knowing what to do, doing it, and then repeating it, is critical and that really is, in its essence, right, the baton. Knowing what to do, doing it, repeating it. Knowing what to do, doing it, repeating it. You have to get to the point from knowing what to do in the ideation stage. Again, if it’s typical day-to-day, you could just run the who do. What we’re talking about here, is coming up with a big idea. Something that is going to be uncontested market space that nobody else has done, right? Then, running the who do after you come up with knowing what to do. Because in their mind, they’ve just gotten it to a point where it could be repeated and refined, right? To, we’ve just cleaned this place up. You’re going to come in here and mess it up again? Allen Fahden: The beauty of this, I think, is that the situation tells you what part of the who do process you should start or restart in. When you’re finishing, like the prover and the maker do so well, remember they have about 150 years of history behind them where they can organize a reputable process and then do it again-and-again-and-again because that’s their nature. That is something that you can fund your company with because it makes you money and you can repeat it. That becomes the core of it. Karla Nelson: That reminds me of Warren Buffet and what he said, right? Everybody thinks of him as this amazing investor and he is, but the truth of the matter is, he doesn’t like the variance. He wants to find something you can make money at. Repeat it, repeat it, repeat it, repeat it, repeat it, repeat it, repeat it. Allen Fahden: Yeah. I saw him speak at an innovation conference that I spoke at. Fortune Innovation Conference. He said, “Let me tell you the first thing about innovation that I believe. I don’t like it.” I want it to be the same, again-and-again-and-again and make me money. Karla Nelson: Exactly. Exactly, because that’s the piece. It’s finding that and then being able to repeat it. Although, I would have to venture to say in today’s society, things are changing so fast. Big guys are being taken down so quickly that innovation is going to have a different base. It’s going to be the norm. It’s not going to be the outlier any longer. Allen Fahden: We actually will be dancing back-and-forth between two norms, which is innovation and replication. Allen Fahden: Our job is to make the who do method that fits all these things together and allows you to do both with equal skill. It’s our job to install that as well. What if we used our own method of installing our own method. That would be ironic. Karla Nelson: Woo! I know, huh? It’s like your book. Use the methods in the book to market the book. Awesome. So, we’re going to wrap it up now and then in the next podcast, we’re going to be talking about natural inboxes and outboxes. We have talked about this just a little bit. We had a lot of questions around how do you sell ideas both to your team and to your customers? How do you get buy-in and how do you move people to action because we’ve got this pool of team members. We’ve got a pool of customers. How do you move them to action based off of their core natures? So, join us for our next podcast. Allen, it’s time to go downstairs and train a whole bunch of Fortune 100. Karla Nelson: I will see you in a bit, my friend. We will see you all next week.